For our fifth anniversary, Landon and I headed off into the clear blue waters and sunshine of the Western Caribbean on Royal Caribbean's Freedom of the Seas ship. We were hoping for a balance of relaxation on board and adventure in our shore excursion. So, did our experience match our expectations? At $150 for our car for a week, the parking rate is a little ridiculous. That being said, I don't know how much of the price is set by Royal Caribbean since the garage is a part of the Port Canaveral cruise terminal. This was my fifth time cruising, and, by far, the most hectic check-in. I was pushed through security, figuratively by the security guard who kept yelling at me, and literally by the grumpy man behind me in line. I was so harried by the process (which was far worse than what I've endured for international flights) that I ended up tripping all over my luggage and stubbing my toe: not exactly the glamorous start to my cruise that I expected. I was confused as to why both the cruise employees and the other guests were so pushy: it wasn't as if the boat was getting ready to leave or there were massive lines. Quite the opposite, actually! We were there five hours early and there weren't that many people in the lines. We usually go really cheap and get an interior room (since we're not in the room all that often anyway), but this time we upgraded--slightly--for a room overlooking the Royal Promenade. Technically, it's still an interior room, but the view was much better than a standard interior room: I think anything is better than a view of the wall! We enjoyed being able to people watch or check out the parades without leaving our room. It was a cruise compartment, so it was anything but spacious. In the bathroom, the shower looks like a space capsule or something, but is about the size of your daily vitamin. I can't blame Royal Caribbean for the cramped quarters, as this mini-sized bathroom has been the case on every cruise. The room had a couch, vanity, a closet, several open shelves, and four drawers. There's also space under the bed to put suitcases, which meant we weren't constantly tripping over them. While there's always something to nibble on, the quality of food on the cruise varies wildly depending where you're eating. Windjammer Cafe is a buffet where you can get breakfast, lunch, and dinner. The breakfast there was the best of the three meals, with bacon, sausage, waffles, fresh fruit, hashbrowns, omelets, and pastries. For lunch, I really enjoyed their salad bar which had over two dozen different salad toppings (broccoli, cheese, croutons, sprouts, etc.). The hot food items and lunch were sometimes good, but we had to try several times to see what would win out that meal. We ate all of our dinners in the main dining room, where the quality of food was far more consistent than it was at the Windjammer. I had an amazing cream of mushroom soup one night and a banana Bailey's creme brulee every single night. Have I mentioned how much I love creme brulee?! On the way to dinner for the first formal night! One thing I loved about the main dining room was the group of people we got to sit with. Choosing to sit with 4-8 strangers every night can be a bit of a shot in the dark, but Landon and I lucked up this time. We met Chris and Paul from England, and Katherine and Jack (newlyweds!) from Wales, and all 6 of us got along famously. Those meals and conversations were some of the best times we had on the trip. There are specialty restaurants on board, too, but (being the cheap people that we are) we didn't try any since there's an additional charge to eat there. We didn't get the drink package this time around (which starts at $65 per person for the length of the cruise and can top $300 per person if you spring for the top shelf liquor one), and ended up being fine with our decision. There's plenty of fruit infused water, lemonade, hot tea, iced tea, coffee, and orange juice around that we didn't miss having soft drinks all of the time. I've heard more than one person say, "I'd be bored on a cruise." Yes, you can absolutely be bored on a cruise--if you want to be. There's absolutely no shame in hanging out by the pool with a book for hours on end. Otherwise, there's no excuse. At any given time on the boat, there are multiple activities going on, from Zumba class to scrapbooking tutorials to spa tours to casino tournaments. One of the game shows that required a lot of audience participation! There are dance classes, sports tournaments, the Flowrider, an 18-hole putt-putt course, a golf simulator, an arcade, multiple lounges, a library, and a computer center. Landon and I played trivia, lost money at blackjack, and went to two parades and a silent disco (so much fun!). Every night, we went to the shows (a comedian, a musical, arial acrobatics), listened to multiple bands, and had several dancing options if we were feeling like some last night club action. 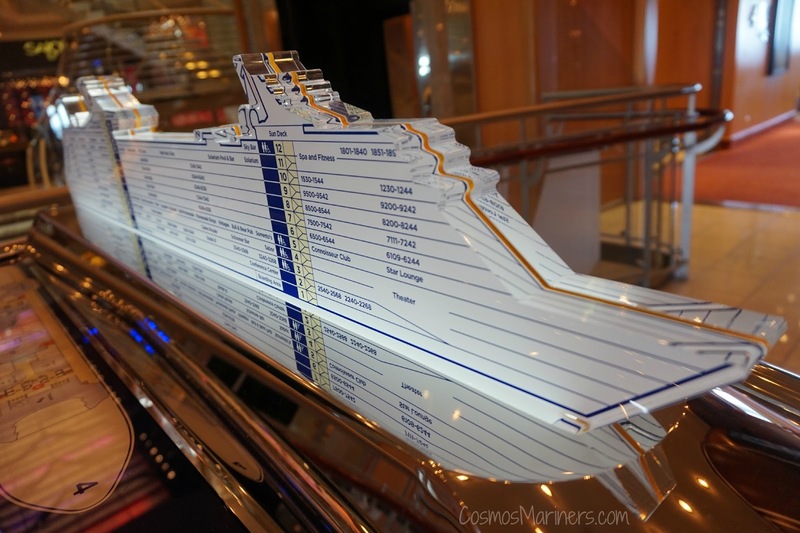 Of all the cruises that I've taken, the line-up of ports on this voyage was the best yet. We had two days at sea--at the beginning and end of the cruise--with four ports in between: Labadee, Haiti; Falmouth, Jamaica (where we explored the Green Grotto Caves and hiked Dunn's River Falls); Grand Cayman, Cayman Islands; and Cozumel, Mexico. We liked the variety of activities, shopping, and dining available at each. Plus, we only had to tender once (in Grand Cayman), so we could come and go off the boat as we pleased. We chose to do the walk-off that morning, so we were able to leave the boat around 7:15. To take advantage of that disembarkation, you've got to take your own luggage, but you get to leave much earlier than other guests. Leaving the cruise was much easier than getting on (thankfully). Overall, we had a wonderful time. The staff, as usual, bent over backwards to make sure the ship was clean, that our dining experiences were great, and that we had everything we could need. Royal Caribbean remains the favorite of the three cruise lines that I've been on for the attention to detail that they give their guests. 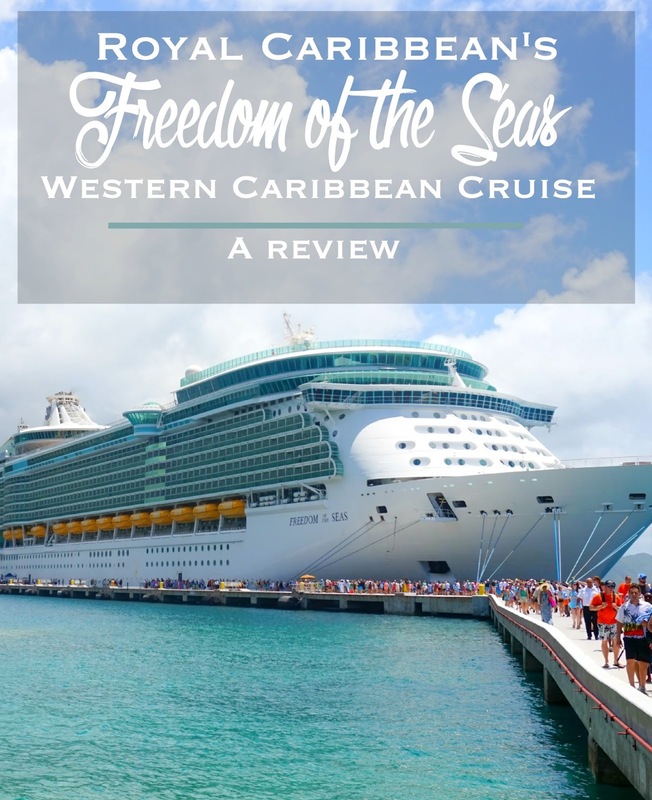 If you're looking for a fun getaway, I'd highly recommend the 7-day Western Caribbean Cruise. We're already thinking of doing another cruise for our 10th anniversary in a few more years! What cruise(s) have you been on? Do you have a favorite port of call?